She assisted me on a shoot a few years back at this very beach and couldn’t wait to take her own photos here. Its a beautiful little private tucked away spot. Tonight we got the wildest waves. My favorite part of this session was the natural chemistry between these two. I would just tell them, you two talk and do your thing, I will shoot around you. And the results were stunning. They are both expats, he’s a Brit and she’s a Kiwi, so taking photos in the foreign land they are having their first child in was really important. Full maternity sessions like these are about an hour, multiple wardrobe changes, and only available with a newborn combo package. 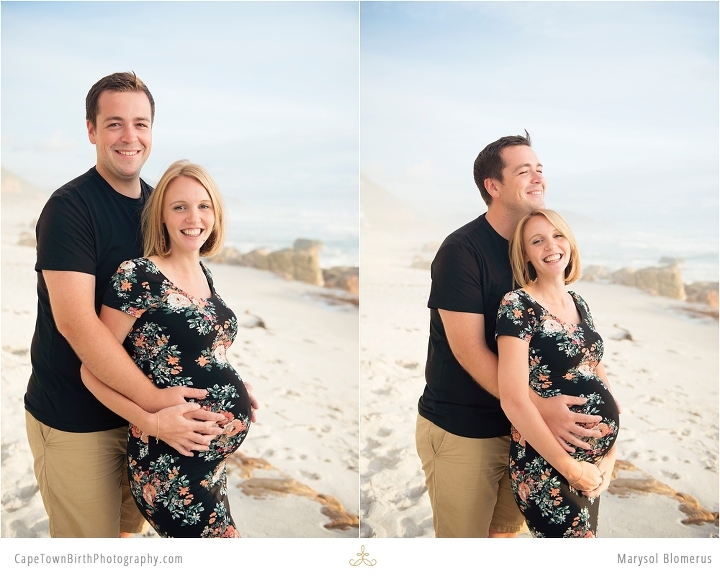 You can see their newborn session here shot in their nursery. I take on a very limited amount of these since I primarily specialize in births, but if you are interested, contact me for a quote. Otherwise, a mini version is available complimentary with all my birth packages and can always be upgraded upon request.